Originally established in 1942, Chandler's Roofing has been recognized both regionally and nationally as the premier Southern California roofing and solar company servicing Los Angeles, Orange County and the Coachella Valley. Recently Chandler's Roofing was awarded the Residential Roofing Contractor of the Year from Roofing Contractor Magazine, "Best of the Best in the Roofing Industry" in 2012 and President's Club with leading roofing manufacturer GAF. Based in San Pedro, CA we service the South Bay's Beach Cities and surrounding communities in Los Angeles, Orange County and Palm Springs with state-of-the-art roofing and solar solutions.  At Chandler's Roofing, we realize that knowing how to build a successful relationship with our clients is just as important as knowing how to build a quality roof and solar system. Read recent reviews from our customers! FOR MORE INFORMATION, SUBSCRIBE TO OUR NEWSLETTER BELOW.